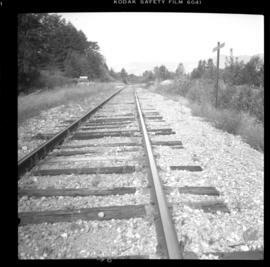 Photograph depicts trackage of the Great Northern Railway which changed to the Burlington-Northern Railway. 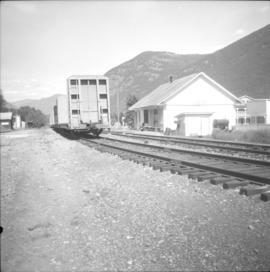 The site is not known for sure, but Davies believed it to be near Salmo. 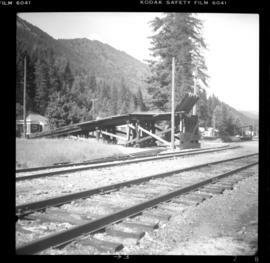 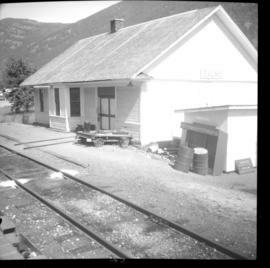 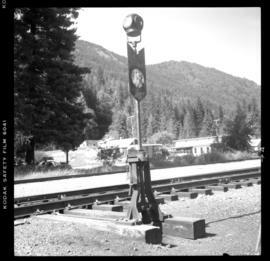 Photograph depicts an ore/gravel ramp for dumping into gondola cars on the western side of the Salmo yard.